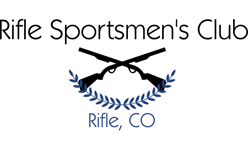 RSC Sight-In Days is open to the general public at a cost of $7 per gun. Open to the public at a cost of $10 per gun payable at the Range. Members will also be charged said fee if sighting in during these dates. Earplugs, soda, and water available for $1.00 each. Current RSC Members: Due to the large turn-out of public and out-of-state guests, please sight-in your guns on dates other than those posted here. Members will be required to pay $10/gun if utilizing the range during any of the Sight-In Days. NO EXCEPTIONS!